Clay is beautiful, clay is wonderful. A just dug out Izu clay is cream colored, pink and gray. 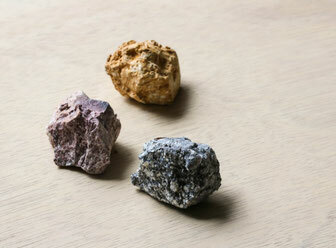 There are various colors like white, brown and black in one lump of clay. Patting the clay without wedging. Usually, pottery uses wedged clay. Even this clay of Izu is mere uniform red, if wedged. By patting the clay thin without wedging, natural patterns of the clay appears. 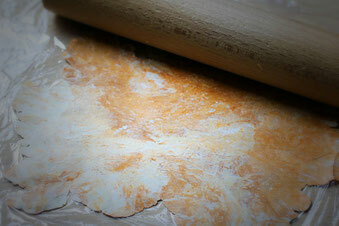 After patting the clay into a paper thin slice, the clay is cut and applied onto forms made of another plain clay. Natural patterns of blacks, browns and whites appear after they have been fired. These are natural beautiful patterns that has accumulated for more than tens of thousands of years. Beautiful memory which is hidden deep in the bottom of the clay. 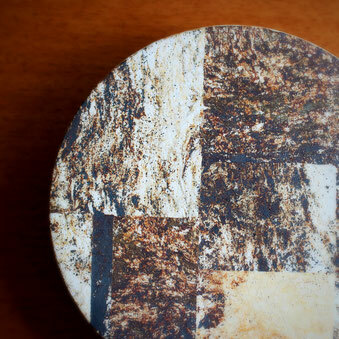 Using Izu's clay pattern as a design accent of pottery, I am daily creating ideas to create "primitive & modern" pottery.